Many people ignore the importance of breakfast, wake up late, and start their businesses and activities without eating enough and take the drink in office, such as coffee, and then eat fast food, which affects their health, and increases the chance of having many health problems. 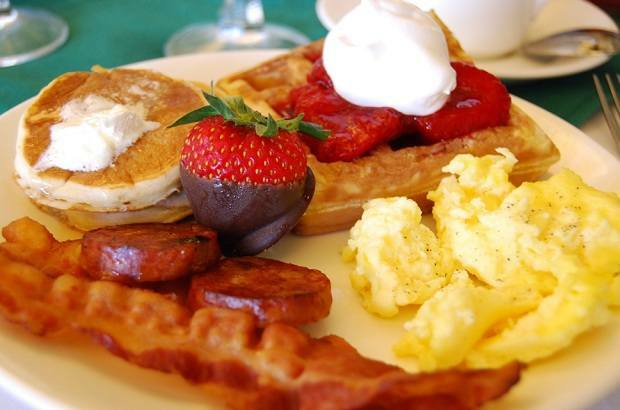 In this article, we will let you know the importance and benefits of breakfast. Some people skip eating the basic meal, ie, breakfast every morning. Scientific studies have proved the importance of eating this meal because it has great benefit in energizing the body and providing it with energy, in addition to activating bowel movement and weight reduction. Many people do not know that breakfast is one of the most important meals of all day. Even the old wise men praised the benefits of breakfast every morning and said, "In the morning you are like a king, at noon like a minister, and in the evening as a coward." If you wake up in the morning after long hours of sleep without eating, then your body's glucose supply will be fulfilled, so you need to replenish the stock to get energy. Breakfast meal works to improve and speed up metabolism by almost 25%. Metabolism is one of the vital processes that occur within the human body and that is responsible for producing energy within the cells of the body by destroying nutrients that are digested within the digestive system and converting them into energy. The metabolic system is highly developed in the human body. Morning metabolic rate is determined with breakfast. When taken, the body is assured that everything is fine and the body's metabolism is working normally. In cases where we avoid breakfast, the body feels, tense, stress, and fear that it will not be fed for several hours in the future, and then reduces the frequency of metabolism to store all that is eaten, and maintains the stock in the fatty tissue. Accordingly, whoever goes out to work without eating breakfast presents himself with double damage. So to ensure the health of our body, to maintain our energy and to get a good working day, we show some reasons why you should do breakfast every morning. Reduces signs of hunger, such as abdominal pain, head, preferably eating eggs at breakfast; because it gives the body proteins that increase the feeling of fullness. Provides the energy needed to increase the body’s vitality, so it must contain nutrients, fibers, vitamins, and minerals. It is necessary to note the need for adolescents and children to many energy throughout the day, because of their participation in many activities, such as school games, so breakfast helps to finish homework on time, and increases the desire to learn, in addition to raising students' academic achievement. A healthy and nutritious breakfast is a source of energy needed to perform the body functions on a new morning. 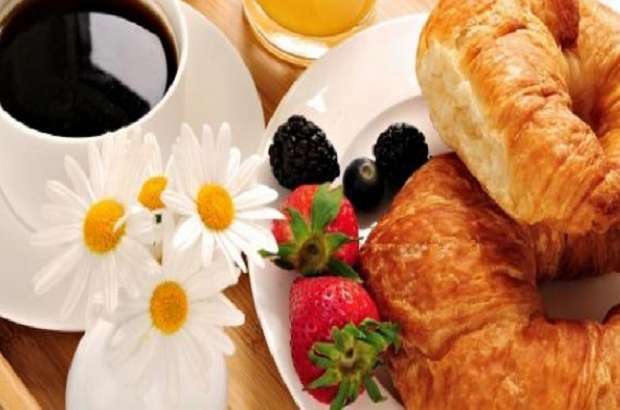 Studies show that people who are accustomed to starting their new day with breakfast are more alert, more focused, have a better memory and a better mood. People who are used to breakfast have a healthy bowel movement and suffer less from constipation. Healthy foods such as fruits, vegetables, whole grains, low-fat dairy products, soy milk, nuts, and others are recommended. If we choose morning cereals as a key ingredient in breakfast, we prefer to choose whole grains of high quality, especially since these grains are rich in fiber, which helps to increase the movement and activity of the intestine properly. People who are used to eating breakfast may eat all kinds of foods throughout the day, increasing their consumption of some essential nutrients to keep them healthy. People who skip breakfast tend to eat more in the next meal, and eat more snacks during the day to calm their hunger. Moreover, physiologically, the body tends to store less fat when eating smaller meals while avoiding very long distances between foods. Scientific studies have shown that those who are habituated to breakfast, their body weight is less than those who do not. Studies suggest that children who skip breakfast are more likely to be obese than children who are keen to eat breakfast. Other studies indicate that children who eat breakfast regularly are better educated, have high problem-solving abilities, and have a strong sense of creativity. It is recommended to teach children healthy eating habits at an early age and to teach them the importance of listening to the body and responding to their physiological needs, for example in the morning. We must offer them a variety of healthy foods such as fruits, vegetables, whole grains and so on. It is important to give the body the energy necessary to do daily activities, but we have to provide breakfast to meet the needs of the body and feeling hungry. In general, it is always advisable to listen to the body and eat if we feel hungry. Different people may have different nutritional needs in the morning, so breakfast can be eaten early or late, or large or small, depending on the physiological needs of each individual. Starches: They contribute to the energy supply of the body, examples of foods high in starch, bread. Vegetables: Because they contain high fiber, vitamins, and water. Fruits: They contain many important vitamins for the body. Dairy: milk, dairy products, cheese, etc. Fat: such as unsaturated fat, olive oil, and nuts.